Spring hockey is intense, nerve-wracking and extremely enjoyable. Trying to build momentum, the Devils relied on their veteran players for two wins last weekend. 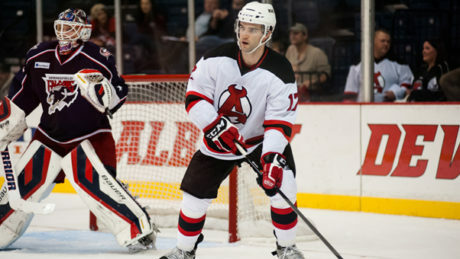 Despite entering his second season with the organization, Scott Timmins in the midst of his first New Jersey Devils Training Camp. With Reid Boucher to New Jersey and Kelly Zajac out with an injury, Stefan Matteau and Graham Black return at the right time.